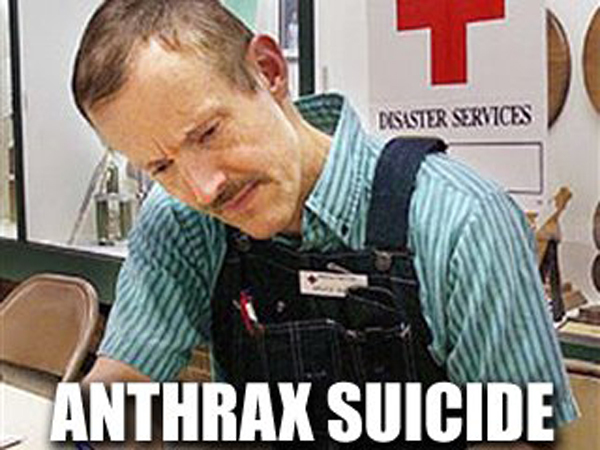 2012 April « CASE CLOSED … what really happened in the 2001 anthrax attacks? 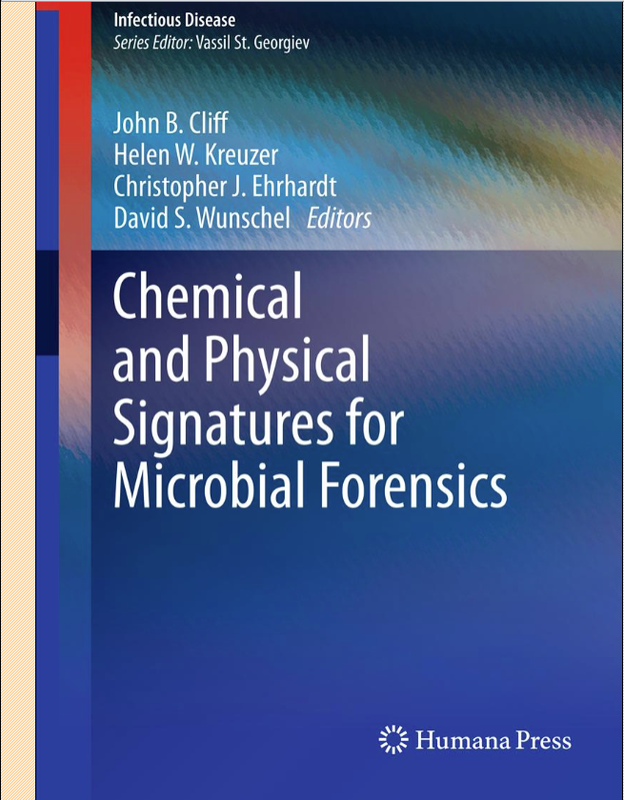 * Humana Press Has Published This 2012 “Chemical and Physical Signatures for Microbial Forensics”; such a treatise is all part of developing microbial forensics to the point where it can be more useful than it has been in the attribution of crimes using pathogens. 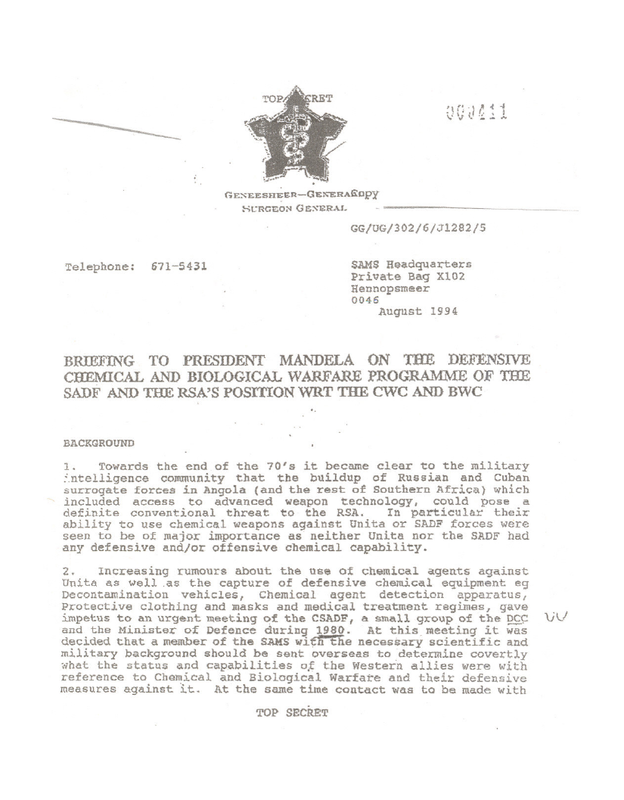 * In Trial Testimony, Dr. Basson of South Africa’s “Project Coast” Reports He Visited Both Porton Down and USAMRIID; GAO, Did The Project Coast Virulent Ames, Which Was Being Offered For Cash, Have 4 Morphs? 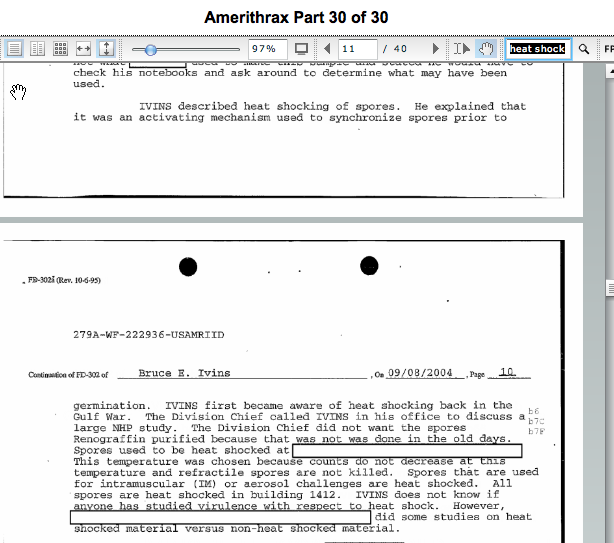 Dr. Ivins Reports That The Former USAMRIID Scientist Who Went To Work For The CIA Had The Other Slant Of The Ames Strain Sent From Texas. 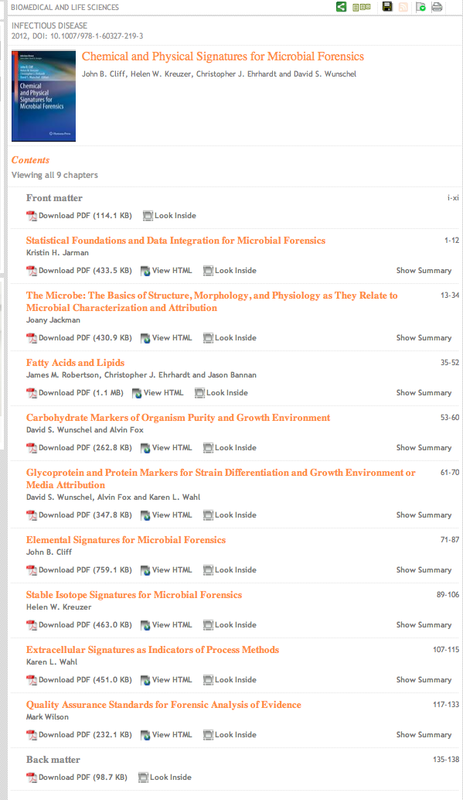 * The FBI Should Produce To GAO All Of The Research, Unpublished Or Not, By Dr. Bannan And His Colleagues On Heat Shocking As A Substitute For Use Of Renografin In Purification, To Include Whether Heat Shocking Was Used In Connection With The Fall 2001 Mailings, Whether It Was Used For Intramuscular And Aerosol Challenges Done In USAMRIID Building 1412, And Whether Heat Shocking Was Studied In Connection With Virulence Studies. * from a recent DXer comment: If you knew what AUSA Kohl and AUSA Lieber withheld … documents and evidence inconsistent with the finely spun narrative in the Amerithrax Investigative Summary … you would weep for Dr. Ivins. Driven to his death … and no proof that he did anything. 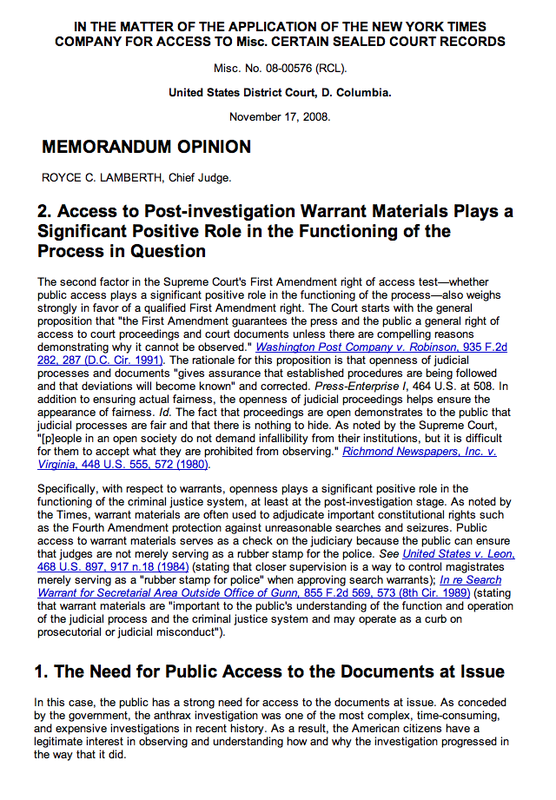 that the FBI case against Dr. Ivins is a tattered shred. When will the FBI be held accountable for its actions? When will the country demand the facts? When will the FBI tell us the truth? 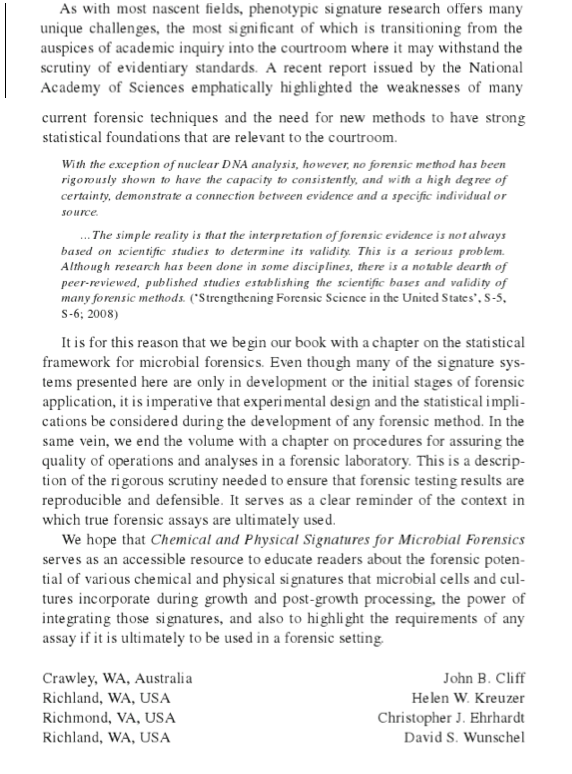 * The DOJ and FBI Should Produce To GAO All Forensic Analyses and Documents Relating to Swabbing And Testing For What Is Now Known As Bacillus subtilis subsp. inaquorosum subsp. 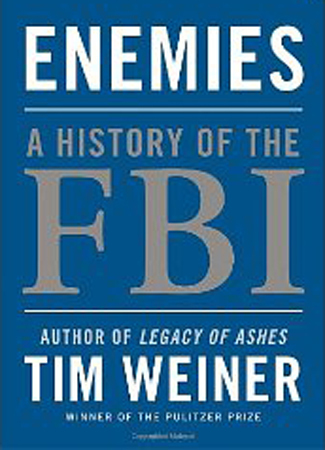 nov.
* Tim Weiner traces a long history of FBI bungling and incompetence in its secret intelligence operations … LMW: is it any wonder the anthrax case remains unsolved? and apparently did not solve the case !!! The F.B.I., as Robert Penn Warren wrote about the rest of humanity, was “conceived in sin and born in corruption.” When Theodore Roosevelt first proposed a national police force in 1908, Congress said no, fearing “a central police or spy system in the federal government.” Roosevelt simply used a “special expense fund” at the Justice Department to quietly hire 34 agents for his new “Bureau of Investigation.” To this day, the F.B.I. lacks a formal charter, and its financing has often been shrouded in secrecy. The F.B.I. conducted huge raids against pacifists, labor leaders and other dissidents during World War I, directing the arrest of tens of thousands of individuals. Yet it failed to uncover a single enemy spy. Hoover himself derided the “gross incompetency” of his agency in failing to keep better tabs on Lee Harvey Oswald after his return from the Soviet Union. by the 1960s, the F.B.I. seemed just as lost combating domestic revolutionaries as it was battling foreign spies. The bureau failed utterly to stop the lunatic amateurs of the Weather Underground, even as they planted a bomb in the Capitol. The Puerto Rican terrorist group F.A.L.N. carried out a hundred bombing attacks and “pulled off the most lucrative armed robbery in the history of the United States” without a single member being apprehended. Hoover’s successors were mostly clueless bunglers; save for the current director, Robert S. Mueller III, none completed their terms of office. with the record the F.B.I. has.